You guys may remember how much I loved the HASK Coconut Oil Hair Care that I tried out a few months ago. So, of course, I was more than excited to try out some more products from HASK. 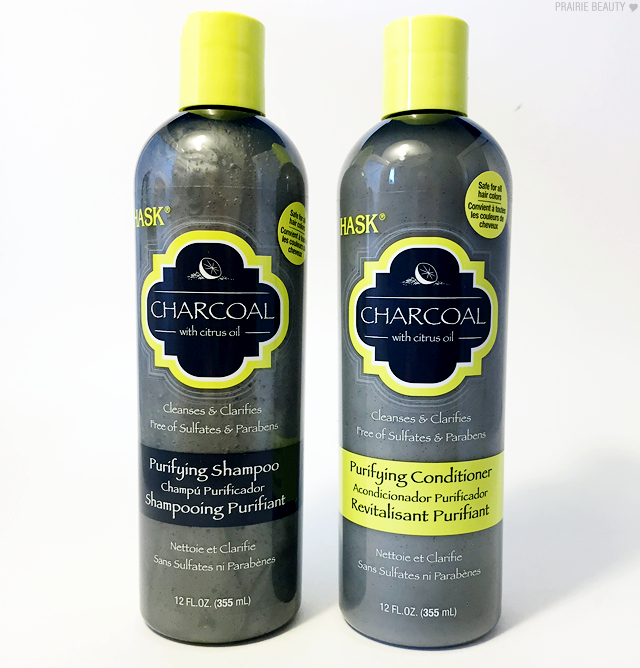 The new HASK Charcoal with Citrus Oil collection of products is a purifying line of products meant to clarify the hair without stripping it of it's oils and radiance. For me, the biggest build up that I get in my hair is dry shampoo because I tend to put off washing my hair a day longer than I should most of the time and I need a little help to keep from looking like a greaseball. Too much information? Anyway, I really find that dry shampoo leaves a lot of build up on the hair, so I was eager to try this collection of products out! Keep reading for my thoughts on these products! Let's talk first about the Purifying Shampoo. This is a VERY thick shampoo and I find that I have to be careful not to just blob it onto my scalp, because it can be a little hard to work through the hair if I do. It's a kind of midtoned grey shade and you can see small particles of charcoal in the formula, which I kind of like. I find the scent to be absolutely lovely. You get that citrus, but it's somehow grounded with something else so it's not overpowering. Once you work this through the hair, it has a rich lather and when it rinses, the hair can feel a little tangled, but also very clean without being too squeaky. Now onto the Purifying Conditioner. This conditioner has a traditional creamy texture, not too heavy but also not too light, and has the charcoal specks in it as well. It also has the same delightful scent as the first product. I do find that this is a nice conditioner for day to day use, because it hydrates the hair without weighing it down. I think this is a conditioner than works better if you have a couple of minutes to leave it on the hair, and once it's rinsed I find that the hair feels soft and it's easy to comb through without too many tangles. Used together, these products really helped to lift product and oil residue from my hair, which really made it feel lighter and have the appearance of more volume at the root! I am HUGE fan of a deep conditioning treatment, so I was really excited to use the Purifying Deep Conditioner from this line. The texture of this is rich, but not too heavy. My absolute favorite part of this is that it rinsed completely clean and left my hair without any residue than can weigh it down, because a lot of deep conditioners tend to be a pain to actually rinse from the hair and I end up with hair that doesn't feel clean. This really left my hair feeling deeply hydrated and soft as well as quite manageable. I would use this treatment about once a week (and I feel like my mid-length hair needs about half the pouch per treatment) to keep my hair soft. 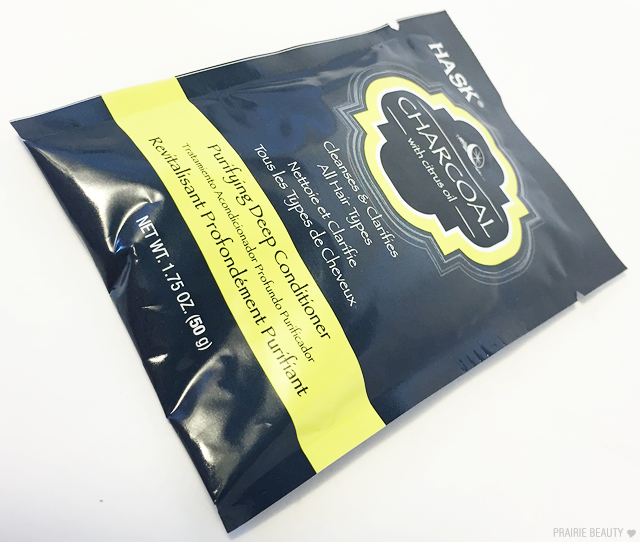 Overall, I'm really impressed with the HASK Charcoal with Citrus Oil line. I feel like this will be more of a supplement for me than my full time hair care routine, and I'll likely use all three products about once every two weeks to clarify my hair and get rid of any product and oil buildup I have lingering. I think that people who use a lot of products or have quite oily hair could probably use this as their regular hair care, but for me because I have damaged hair I will likely reach for something like the HASK Coconut Oil line on the regular and use this intermittently. 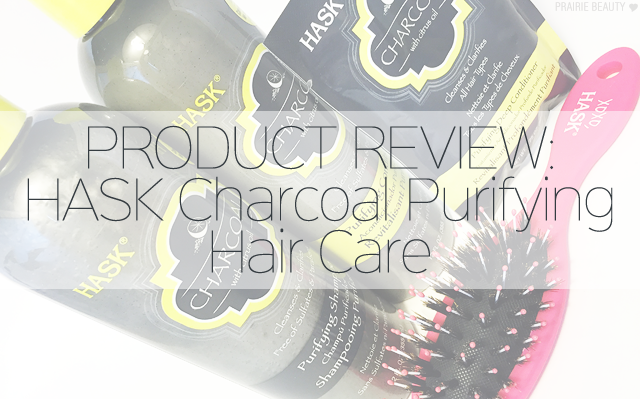 HASK really does continue to impress me, I have to say, and I'm looking forward to trying more of the products from their range! 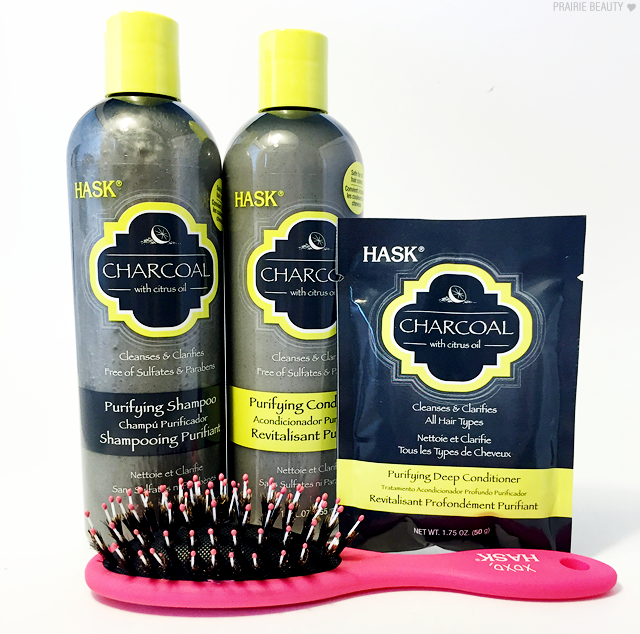 Have you tried out anything from HASK Beauty? I'd love to hear about it in the comments!